The last time we were in the Netherlands it was only for six days (in 2010) and that is not enough time to get any sense of a country. We are approaching the six week mark this time and while that is still quite a short time I’m definitely getting a better sense of what life is like. The towns are quite diverse, the more populated western side of the country generally is prettier from my perspective. The towns and cities in the west definitely have more of the “canal thing” going on, and I think this adds to the feel of it being the real Holland. The old buildings that line the canals of Amsterdam, Leiden, Den Haag and Groningen have a flavour that while built for a practical use, have a beauty that a equals or surpasses any other place I have visited. The presence of water is a major theme for this side of the country. The eastern side of the country is still pretty but in a different way. There are defintiely more hills, not large ones by our New Zealand standards but areas you can get a view of the countryside from. Towns like Nijmegen and Ostebeek looked like places I could be happy living in and they have the added bonus of having something akin to “Southland style” (think flatish) mountain biking trails close to them. The Dutch people we have meet have been very good, probably my only complaint is that as soon as they realise you are a foreigner they automatically switch to English to help you out. When you are trying to learn Dutch, it is not ideal 🙂 We have a few people trying to help us out, our Dutch teacher Joke (pronounced Yo – Ka) of course. She is a lovely lady who speaks to us quite a bit in Dutch and I probably get about 50 % of what she is saying. 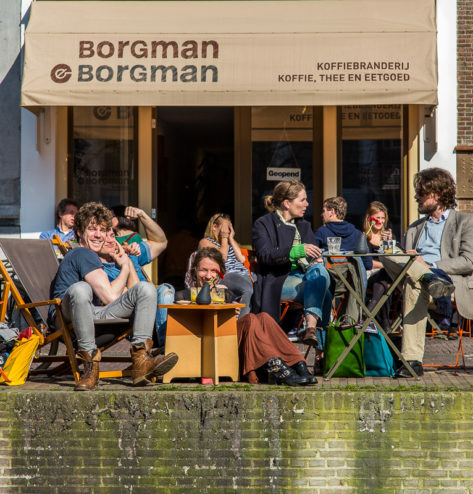 Our local cafe Borgman and Borgman baristas are also helpful as they are very patient with our slow and sometimes mis-pronounced Dutch. We have had a day trip to Arnhem to investigate the World War 2 “Operation Market Garden” historical sites with a fellow aircraft photographer who lives here in the Netherlands. He kindly offered to show us around when he heard we were here. Generally anyone we have met is friendly, willing to help and will go out of their way to assist when they can. I’ve been pleasantly surprised by the food here! 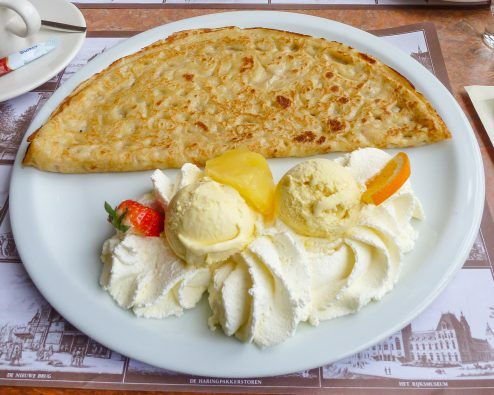 My memories of the food from our last trip was that the pizza in Leiden was awesome but the rest of the food we had was rather mediocre (maybe it was a factor of eating in tourist areas in Amsterdam). This trip we really haven’t had a bad meal out, while some of the food is basic it is cooked well and tastes very good. The problem I have with food and this blog is that I’m far to keen on eating it to take any pictures.Food like the Dutch diary produce is among the best in the world and their Oude cheese is easily my favourite. I’m a hard cheese man and they do hard cheeses very well. Meats are very good as well, they do good sausages but their beef, pork and chicken have been very tasty or “lekker” as they say here. I’m still not sure about the raw fish they eat in the market but most cultures have a dish that lacks some appeal to a palate like mine. If you come here try the Bitter Ballen. It is basic fried pub food but I’ve taken a liking to it.